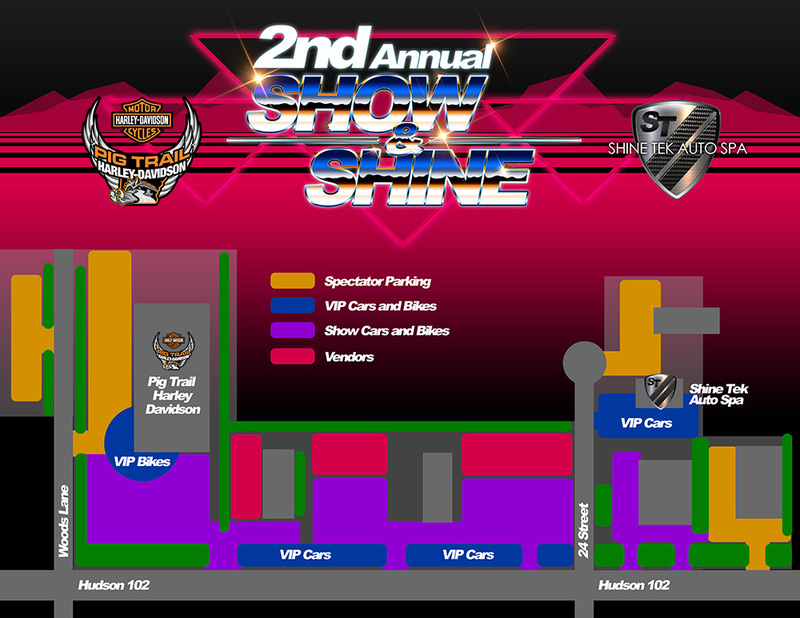 Pig Trail Harley-Davidson and Shine Tek Auto Spa are proud to host the opener for bike & car show season coming up on Saturday, May 18th from 12pm - 5pm. Join us for a full day of cool bikes, hot cars, outside vendors, live music & cold beer on Hudson Rd from 24th Street to Woods Lane! Rockin' Pig Saloon Rogers will be open with delicious BBQ and cold beer starting at 11am on Saturday! $250 Pig Trail H-D gift card to be given away on Saturday, April 6th during the show.